This page contains a number of downloadable programs I've written or ported. They are all intended to be run on RISC OS computers. All of these programs should now be Iyonix compatible, and source code has been included where possible. If you have any queries, bug reports or problems with any of them, please feel free to e-mail me. Some of the programs have been published in magazines, but in all cases I retain copyright of the material. There's no charge for using any of them. You can distribute altered versions, but I'd be interested to know if you do (just for my own curiosity!). An RSS feed of my RISC OS software is available. 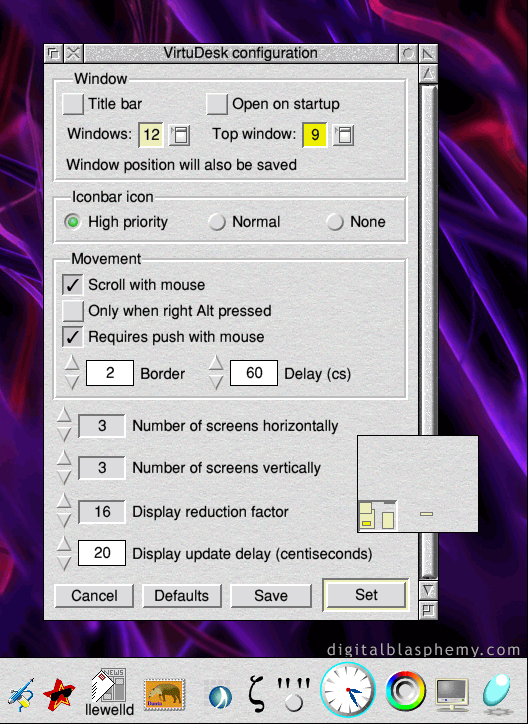 Version 0.51 (20 Aug 2006) for RISC OS. 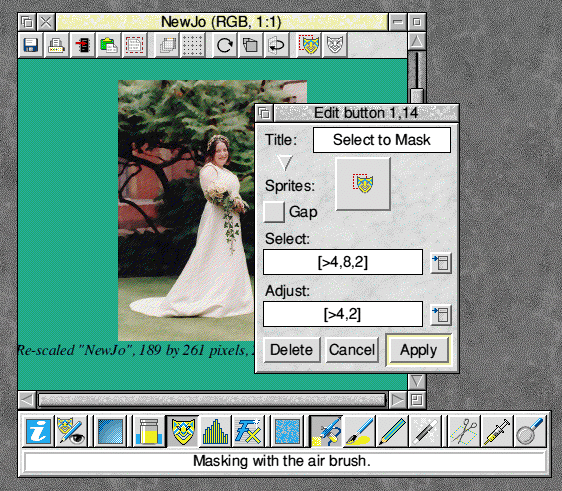 Ghostly is a small utility that allows a transparent effect to be applied to windows, making it appear as if the pinboard image can be seen through the window. It originally appeared in the *Info column of Qercus magazine issue 278. Version 0.08 (14 Jan 2006) for RISC OS. Version 2.01 (14 Jan 2006) for RISC OS. 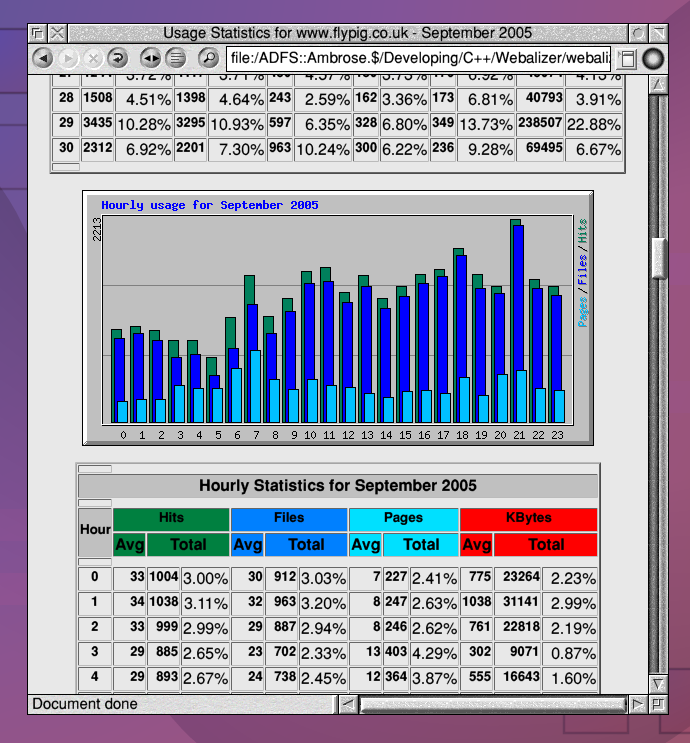 The Webalizer is a GPL-licensed web log analysis program written by Bradford L. Barrett. According to its website, "The Webalizer is a fast, free web server log file analysis program. It produces highly detailed, easily configurable usage reports in HTML format, for viewing with a standard web browser". Version 0.41 (13 Nov 2005) for RISC OS. 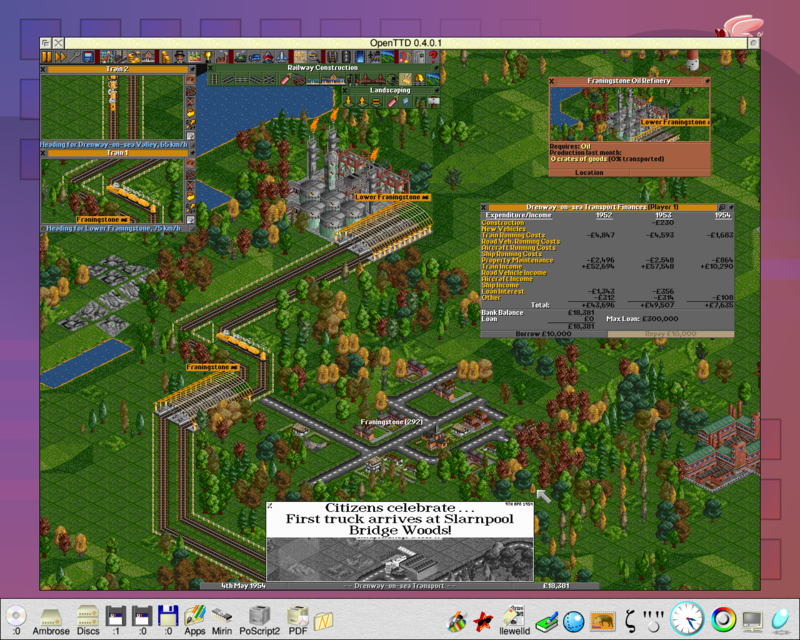 This is a RISC OS port of the GPL-licensed OpenTTD game, which is itself a clone of the commercial Transport Tycoon Deluxe. In order to use it, you will need data files from the original commercial game. Version 1.62 (23 Aug 2005) for RISC OS. ButtonBar allows you to easily create and use definable button bars for any program that accepts keyboard input. Buttons can simulate key presses, menu selections or *-commands and button bars are provided for many applications (Zap, Impression Junior, etc..). It won't teach any old dogs new tricks, but it will give their tricks pretty buttons. I'd also recommend a visit to Stewart Brookes's website to download some of his excellent buttons bars. Version 0.01 (20 Aug 2005) for RISC OS. Igor is a simple Telnet server. 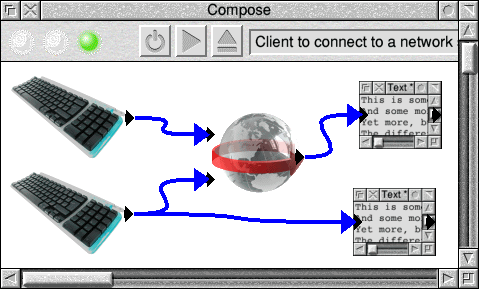 It allows people to connect to your computer remotely and execute commands within the CLI environment provided by RISC OS. It's a really really early pre-alpha version, and is just here in case someone finds it useful or wants to improve it. 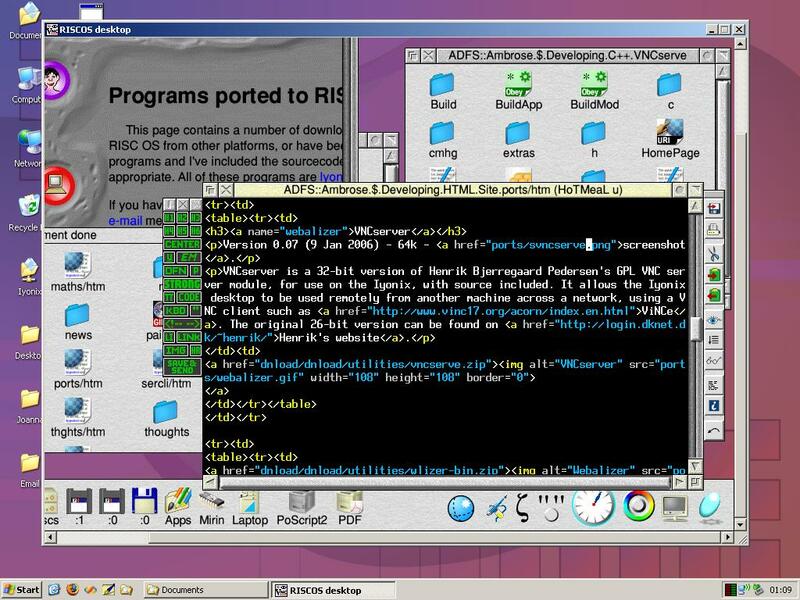 Version 0.52 (8 Jul 2005) for RISC OS. Version 0.52 (16 Jun 2005) for RISC OS and Windows. Version 1.04 (12 Jan 2005) for RISC OS. Version 3.1 (14 Nov 2004) for RISC OS. Version 0.52 (5 Nov 2004) for RISC OS. Version 1.03 (5 Nov 2004) for RISC OS. Version 1.01 (11 Sep 2004) for RISC OS and Windows. This set of programs is intended to be used for digital business cards. It allows files to be AES (Rijndael) encrypted, so that they are individually accessible only via single-use passwords (transmitted using 168 bit Elliptic Curve Diffie-Hellman key swapping). In this way you can give people access only to certain parts of the information on the card. RISC OS and Windows front ends are included, and the code should compile for others, but requires the excellent MIRACL library. Version 5.4 (9 Sep 2004) for RISC OS. This is a version of the W3C Libwww web API library. The W3C describes it as "a highly modular, general-purpose client side Web API written in C... well suited for both small and large applications, like browser/editors, robots, batch tools, etc." There are also some useful example applications included. The versions here have been set up or compiled for RISC OS. Version 0.99 (9 Sep 2004) for RISC OS. This is a version of the XML-RPC-C API library, which allows you to make XML-RPC calls via the 'net. The XML-RPC-C website states that "XML-RPC is a quick-and-easy way to make procedure calls over the Internet. It converts the procedure call into XML document, sends it to a remote server using HTTP, and gets back the response as XML. This library provides a modular implementation of XML-RPC for C and C++." The versions here have been set up or compiled for RISC OS. Version 1.01 (20 Aug 2004) for RISC OS and Windows. Version 3 (16 Jun 2004) for RISC OS. 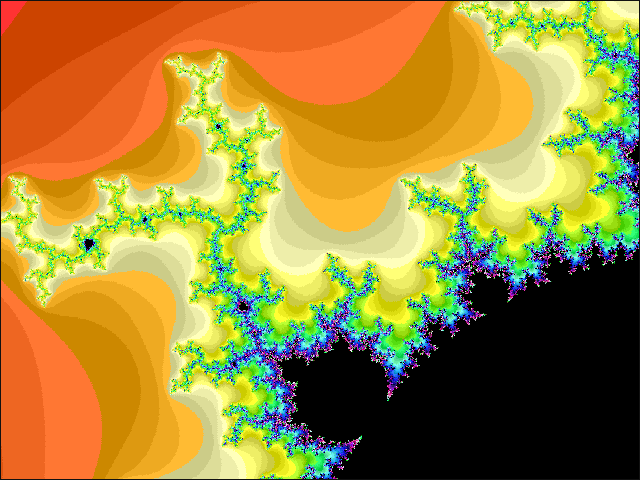 A very small program which will display a set of random shots of the Mandelbrot set at various zoom levels, and then gently cycle the colours to provide a pleasingly nauseous effect. Version 1.52 (13 Jun 2004) for RISC OS. 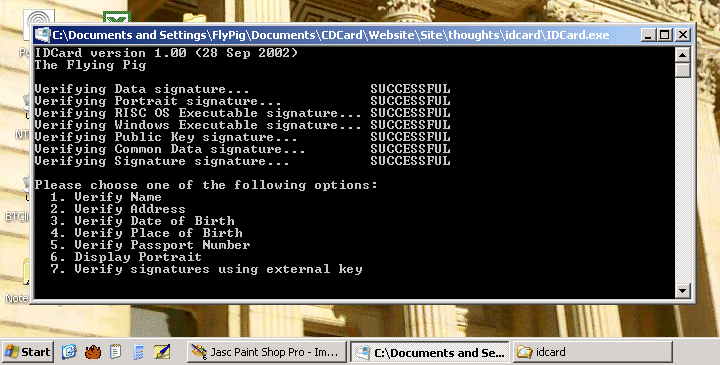 A pair of very simple programs which will convert all quotes typed in at the keyboard into their sexed counterparts. I've seen other programs which have more features, but the biggest benefit of this version is that it is very simple and compact. Version 1.12 (13 Jun 2004) for RISC OS. Allows you to use multiple desktops. You can switch between them, effectively giving you a larger desktop area. Of course it's been done before, and almost certainly better, but VirtuDesk is a module of just 12k so it's pretty compact. It also now comes free with fourteen exciting configuration options. Version 1.03 (13 Jun 2004) for RISC OS. 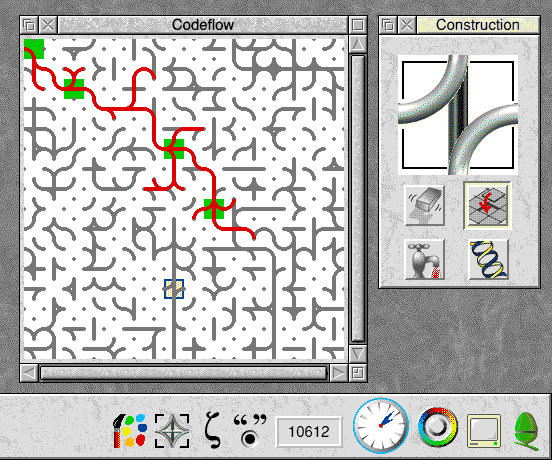 A long distance game for two players which can be played on two unconnected computers without the need for modem, serial or any other physical links. How is this amazing feat achieved? You'll just have to download it to find out! I wrote this when my girlfriend and I were living in different counties and chess seemed too passé!. Version 1 (13 Jun 2004) for RISC OS and Symbian. This program will differentiate expressions algebraically. Just type in the expression, click on 'Differentiate' and the computer will do all of those intricate quotient rules for you! Included in the archive are versions for RISC OS and Symbian (Epoc32). Version 0.51 (13 Jun 2004) for RISC OS. 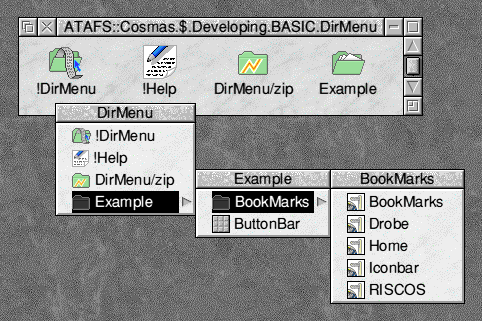 The new clipboard functionality in RISC OS Select 4.36 is very useful, but unfortunately it can cause double pasting in some icons. This is a small module intended to fix the problem. Version 1.02 (27 Apr 2004) for RISC OS. Solves the ever pressing difficulty -uncatered for by the modern computer industry- of using two mice pointers at once. Control one as normal (using the mouse) and direct the second using the keyboard keypad. Indispensable. Version 1 (19 Apr 2003) for RISC OS. A small utility that will display a directory tree as a hierarchical menu, from which you can run applications, and open files and directories. Useful for producing file list button bar buttons, and no doubt also a solution to thousands of other pressing problems (I've not yet thought of any though!). Version 0.83 (20 Feb 2003) for RISC OS. Text downloaded from the Project Gutenberg website has fixed length lines. Viewing it in a text reader is often improved if linefeeds between paragraphs are removed. This program attempts to do this in an intelligent manner. 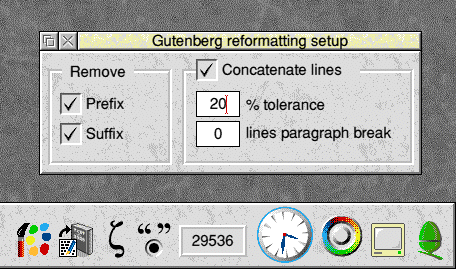 It will also strip the Project Gutenberg header and footer. Version 1.01 (17 May 2000) for RISC OS. Version 4 (30 Sep 1997) for RISC OS. 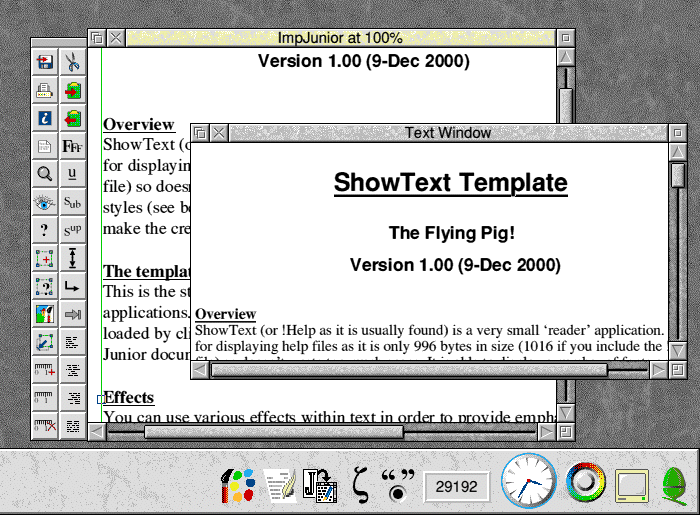 Showtext is a tiny (1016 byte) application to display help files using splendid anti-aliased font technology. 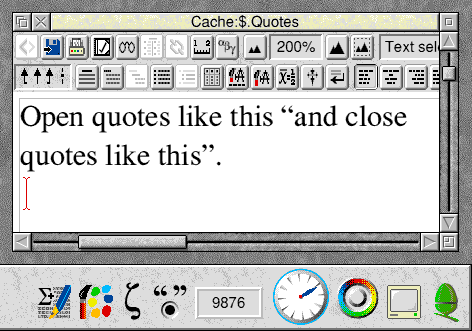 Text can also be displayed using various styles and effects. Included is a program for converting between Impression files and ShowText text files. Version 1 (29 Jun 1996) for RISC OS. 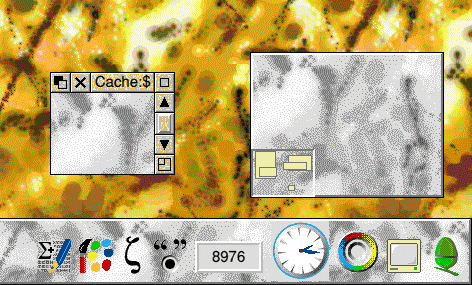 A pair of background and tools sprites which will give your desktop a more artistic feel! Choose between Mondrian or Pollock. Version 1 (26 Jul 1994) for RISC OS. Can't make that crucial decision? Then this is the program for you. Decide will effortlessly solve any deliberation problems by using a neuron linking decision procedure to tell you what to do.